This 5 Little Pumpkins snack is a fun way to celebrate fall or Halloween. 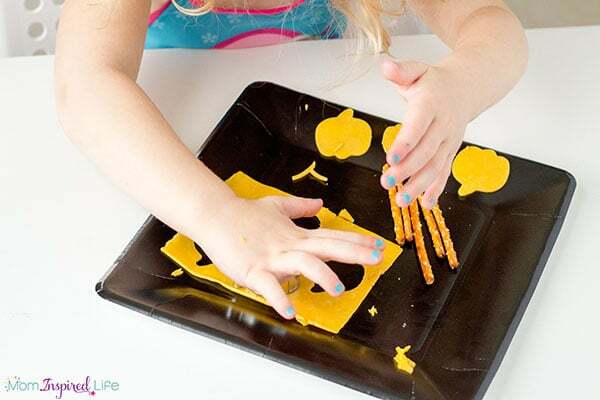 Your preschoolers will love that they can make a pumpkin snack by themselves! 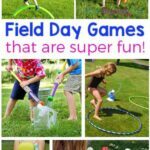 My kids thought this was so fun. 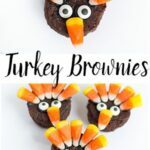 As many of you know, I love making fun food for my kids around different holidays. BUT, they need to be super simple to make and bonus points if the kids can help make the food. Last year we made these spider brownies. 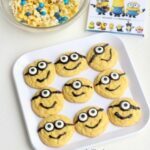 My son (4 years old at the time) was able to make them by himself with a tiny bit of help from me. We all loved them! 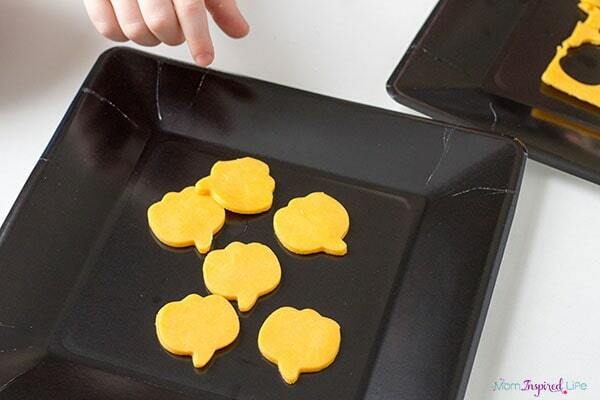 They are perfect for parties. 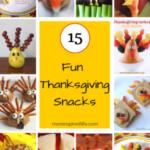 This year we started out by making this Five Little Pumpkins snack. It goes perfectly with the Five Little Pumpkins song and book. You only need 2 simple ingredients to make this Halloween snack! 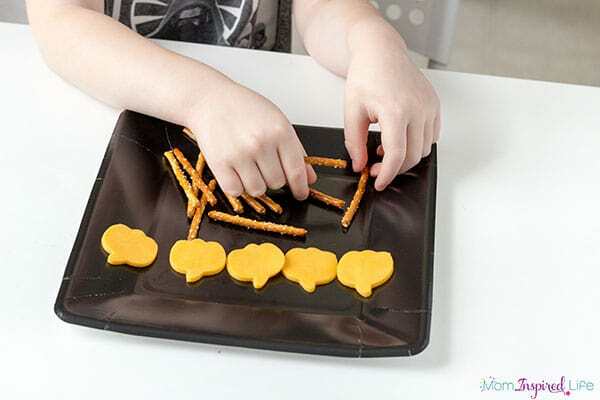 Cheese and pretzels always go over well with my kids, so they were all over this. I gave each child a large slice of cheddar cheese and a handful of pretzels. 3. 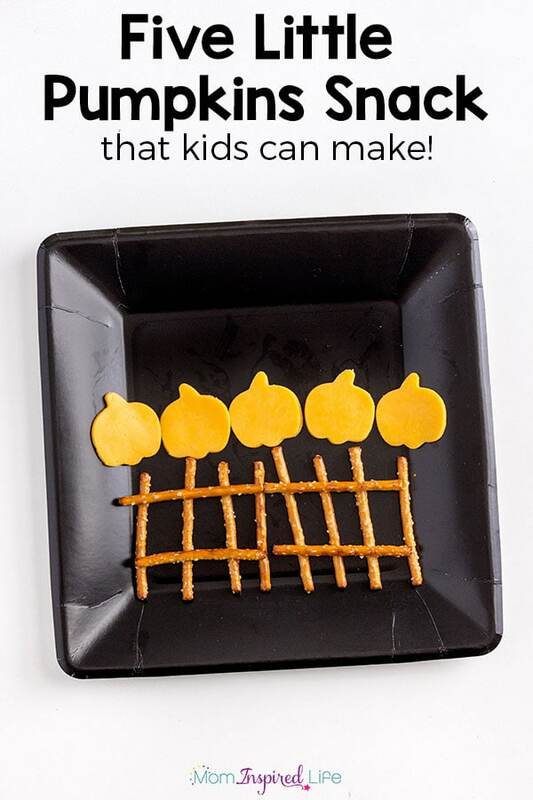 After 5 pumpkins are cut out from the cheese slice, have your kids make a fence with the pretzel sticks. 4. Place the cheese pumpkins above the fence. 5. 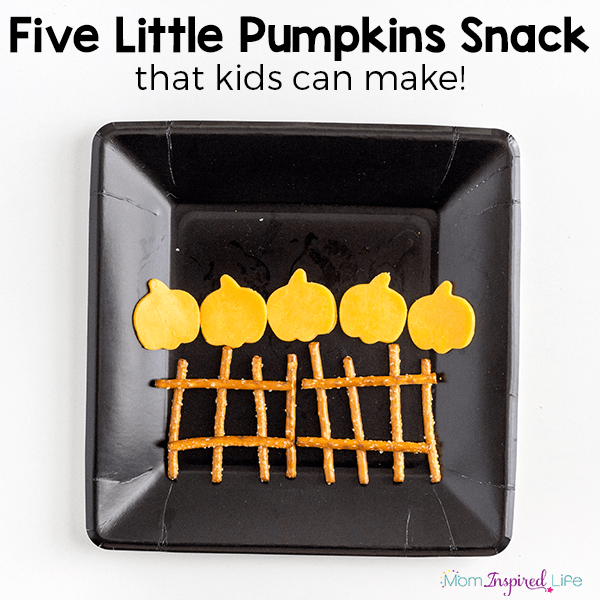 Now your 5 Little Pumpkins snack is ready to eat! This was easy enough that even my 3-year-old could do it. She loved making her own snack. 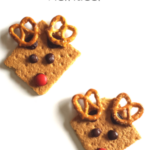 Make sure you read the book or listen to the song on YouTube before you make the snack. My kids enjoy it so much more when the song is fresh in their mind. 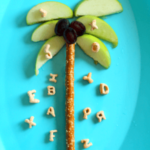 We loved this so much that we had it for snack two days in a row. 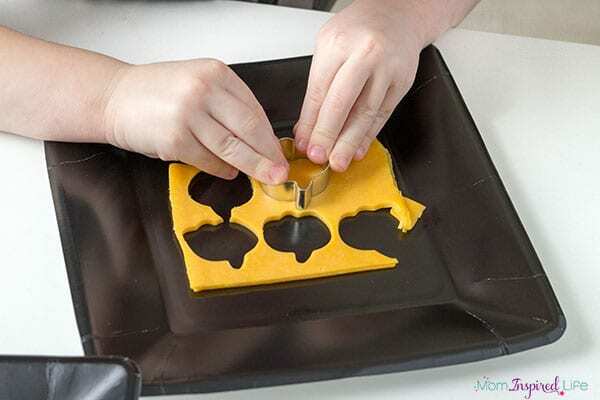 I always have cheese in the house and a bag of pretzels last a long time, so I am sure we will be making this pumpkin snack many more times in the next few week. Check out these other neat Halloween activities!